Lottery wheeling is probably one of the most popular systems used to play lotteries. It’s the use of multiple groups of the same numbers that are played at the same time. Sounds confusing? 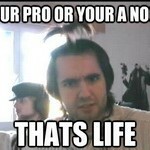 It’s not really. Congalotto.com is a good example. They offer an automatic system that takes a player from the regular numbers to wheeling. Let’s use Mega Millions as an example. Through their pick 5 lottery wheel, you simply chose how many extra numbers you wish to play over and above the regular 5. 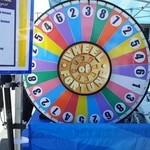 Their lottery wheel generator creates combinations possible and provides your tickets. Say you picked 1, 3, 5, 7, 9 and added 11 and 13 as your extra numbers to wheel with. Congalotto.com puts together all the combination possible. Okay, they do this for a charge of course, so for choosing to do an abbreviated wheel of 7 numbers the cost is $52.50 for 21 tickets. Their 8 number combo wheeling is $140.00 for 56 tickets and $315 for 126 tickets. Some of the wheeling systems available will claim that filtering certain combinations of numbers helps increase a player’s odds on winning. 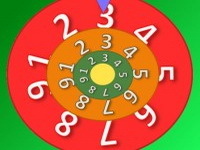 With the auto systems at Congalotto.com, you have the choice of either playing numbers you choose or using a quick pick. Most quick pick systems already have a filter to ensure that your numbers don’t come up all odds or all evens. There are a few lottery wheeling systems that use the concept of wheeling on the bonus number(s). Back to US Mega Millions, besides the 5 regular numbers, players choose 1 bonus number from between 1 and 15. If a player was going to wheel the bonus number, they would choose their regular numbers 1, 3, 5, 7, 9 and then each ticket line would have a different bonus number. If you wanted to wheel all of the available bonus numbers, the cost would be $37.50 for 15 ticket lines. Choosing how many numbers you are going to wheel only depends on how much money you can spend. It’s one of the reasons lottery wheeling software is popular with syndicates. But, you don’t have to buy a system. Many of the online lottery providers have a system available for free. There are many arguments on whether playing your lucky lottery numbers or using some system on numbers that are either popular or haven’t been played for a while. These are based on using filters usually involving past results of that specific lottery. Though the cost would be incredible, a full wheel is using all of the possible lottery numbers in all combinations. 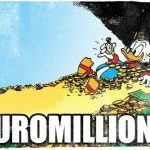 I read a story about a syndicate who did this for a lottery – 1,947,792 combinations on the Irish lottery and won. The syndicate did end up sharing the big jackpot with two other people so the big jackpot did not cover the cost, but they won on the lower matched tiers so did make their money back and then some. It is pretty well agreed that wheeling lotteries work best for lotteries that take less numbers to win like Pick 3 and Pick 4. It is also pretty well agreed that wheeling does increase a player’s odds on winning multiple prizes lower on the tier. The simple fact is the more numbers that are played, the more chances to win. Wheeling presents a systematic approach to this. It increases the probability odds though no system will guarantee a win on the big jackpot unless you play a full wheel and that costs a heck of a lot of money. Then again, there are those vast jackpots out there that it just might work. I’ve already got my lottery tickets for this week’s Mega Millions draw. Have you? Love your article! Winning a lottery isn’t truly impossible, it does happen….. Although it is truly next to impossible. Especially considering the fact that US Mega Millions and Powerball lotteries now have odds knocking on the 300 million to 1 door….. Many think that by buying hundreds of tickets they can increase their chances of winning big… Well, yeah I suppose that is true… Buying 500 or even a thousand tickets will improve the odds a bit… But at 300 million to 1 (very near it) a thousand tickets still leaves 300 thousand to 1 odds… Still very unlikely.